Trying to Decide Whether Your Child Needs Braces & Orthodontics Treatment? If your child is approaching the age of seven, it’s time to make an appointment for an initial exam. The American Association of Orthodontists has recommended that the proper age for a child’s first visit to the orthodontist is no later than seven years of age. Burleson Orthodontics of Kansas City, MO, strongly encourages this practice. 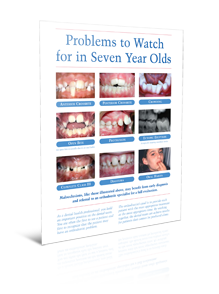 We invite you to download our Free Report: Orthodontic Problems To Watch For In 7-Year-Olds. 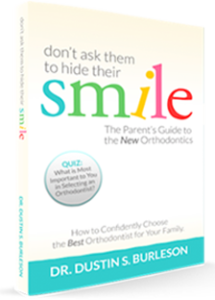 Claim your copy of Dr. Burleson’s best-selling book “Don’t Ask Them to Hide Their Smile: The Parent’s Guide to the New Orthodontics” before choosing your family’s Kansas City, MO orthodontist.